JNC Road in Koramangala’s happening 5th Block is a haven for students. From apparel and accessory shopping to street food, and hanging out at small eateries and cafes, it is a perfect place to spend a few hours. And eat some superlative food. 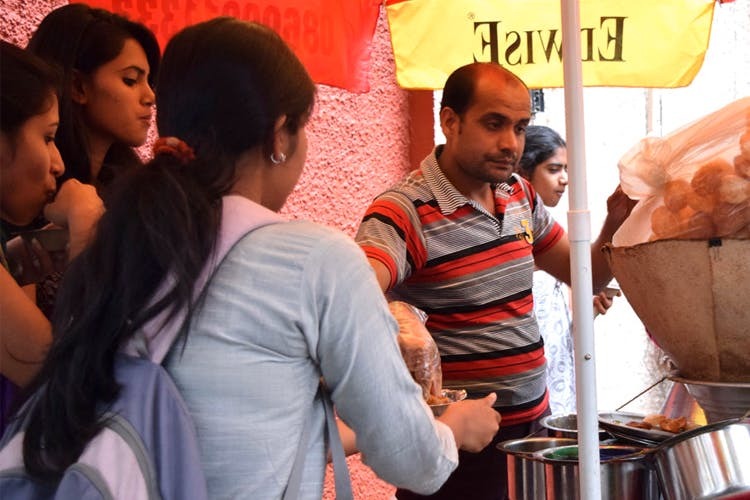 From Pani Puri and Bhel Puri just outside the Jyoti Nivas college gate to Tibetan and Chinese at simple eateries, from all forms of coffee at Hatti Kaapi to nutella-smeared pancakes and waffles at Hole Lotta Love, there are all sorts of food experiences to be had in this small lane.